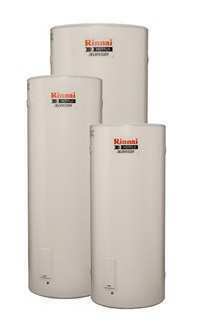 Here are some of your options for a 250 litre electric hot water systems. If you have a Rheem/Vulcan stay with a Rheem/ Vulcan. This applies to Rinnai and Dux Proflo Models as well. The reason is that the pipework layout is generally the same. This will keep the installation cost lower. Eliminating any extras. The old 250 litre electric hot water system tank will be removed as well as all associated rubbish. We recommend the installation of a tempering valve for safety reasons if one is not already installed. (A tempering valve limits hot water to 50-55 degrees) Unfortunately these come at a cost of around $100 plus installation. Change over is based on reusing the exiting pipe work to reconnect the new hot water heater. If new pipe work is required then a extra fee will be required. Please speak to one of our plumbers and they can go though the job we you. Vulcan is made by Rheem. It’s the same heater relabelled but cheaper. 250 litres: Keeps even the largest families in hot water. Rinnai Hotflo or Flow Master 250 litre with no loss of pressure and super-sized storage, our large capacity HOTFLO Electric systems will comfortably service Australia’s biggest families. These tank sizes are available in single and twin element configurations. 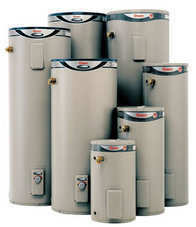 The Rheem 250 Litre Hot Water Systems (electric) are a great option when it come to Electric hot water heaters. If you’re replacing an existing electric hot water unit then these are a great options as they heat water quickly and are a relatively inexpensive solution to your hot water needs. Rheemglas models are ideal for families on a budget. Rheem Optima is their Premium Range with a 10 year warranty and it does cost more. Feature dual handed inlet & outlet fittings. Twin element available – providing a daytime boost for high demand hot water use. Mains pressure – for hot water from multiple taps and showers at the same time. Money saving – designed for off-peak energy rates. 7 year cylinder warranty *. 7 year cylinder warranty* (applies to product manufactured after 1st January 2012). If you buy from Bunnings or Masters we can still do the installation for you if you wish. Our prices are just as good if not better anyway. Please call for a price and you don’t have to leave the house. We can remove the old system for you at the same time. We can also provide you with a tank price only quote if you so wish.